BBC Nyon (NLB) signed experienced 38-year old Senegalese international forward Maleye N'Doye (202-80, college: Furman). 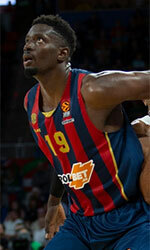 He played last season at RAC Basket in French NM1 league. In 27 games he had 7.9ppg, 3.0rpg and 1.0apg. N'Doye also spent pre-season at Levallois Metropolitans (ProA) in French league. The list of the past achievements is quite long as among others his team made it to the ProA Semifinals in 2009 and 2017. N'Doye was also voted Afrobasket.com All-African Championships 1st Team back in 2013. He has been also a member of Senegalese international program for some years. N'Doye has regularly played for Senegalese senior team since 2003 and previously for U18 National Team in 2001. 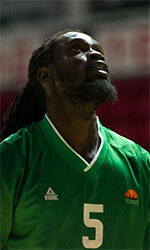 He represented Senegal at the Afrobasket Championships two years ago. N'Doye's team won Bronze and his stats at that event were 5 games: 2.8ppg, 1.8rpg. N'Doye has played previously professionally also in Portugal (Benfica) and France (JDA Dijon, Le Mans and Entente Orleans 45). He is close to retirement age as a player. It's very possible he may end his playing career at BBC Nyon. N'Doye attended Furman University until 2004 and it will be his 15th (!!!) season as a professional player. He could be described: Maleye, it is simply our biggest shooter. He is a player full of talent, with a fast game. He plays rightly and is endowed with a good game without ball. He must now toughen defensively himself and must accept the physical challenge.